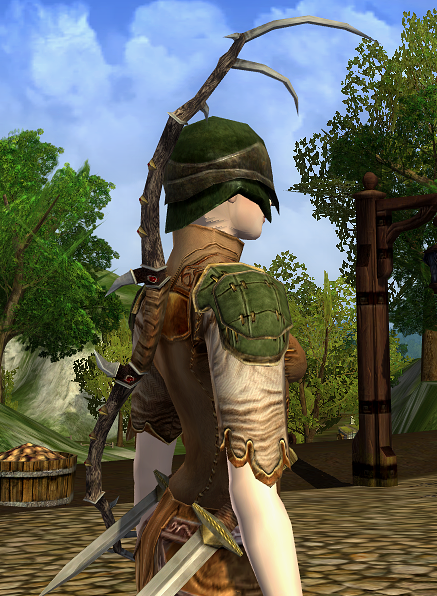 Calairiel joined the scene as a Tinker, so that I could make my own jewellery, as my characters’ equipment was often lacking in that aspect (and there are, after all, seven different jewellery equipment slots–that’s a lot to fill). 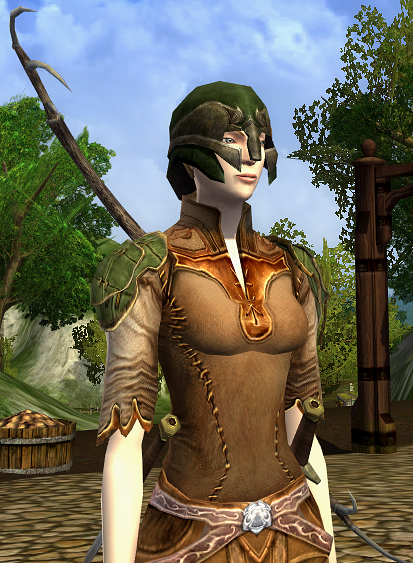 She is also the resident cook and is a guild master at that – a handy thing with the unreliable supply of foodstuffs in the auction hall. 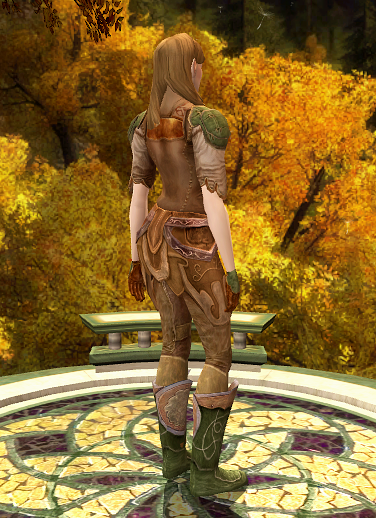 She is an elf hunter, and dresses in simple, no-nonsense garb to suit (except, occasionally, for a festival). 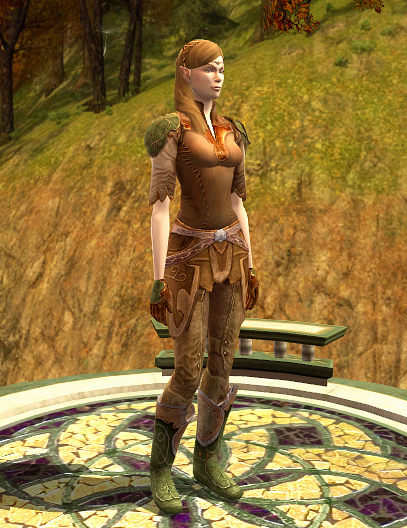 If she goes out fighting, she dons a Flared Metal Helm, dyed olive (intro quest reward). 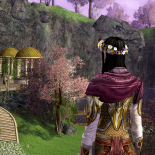 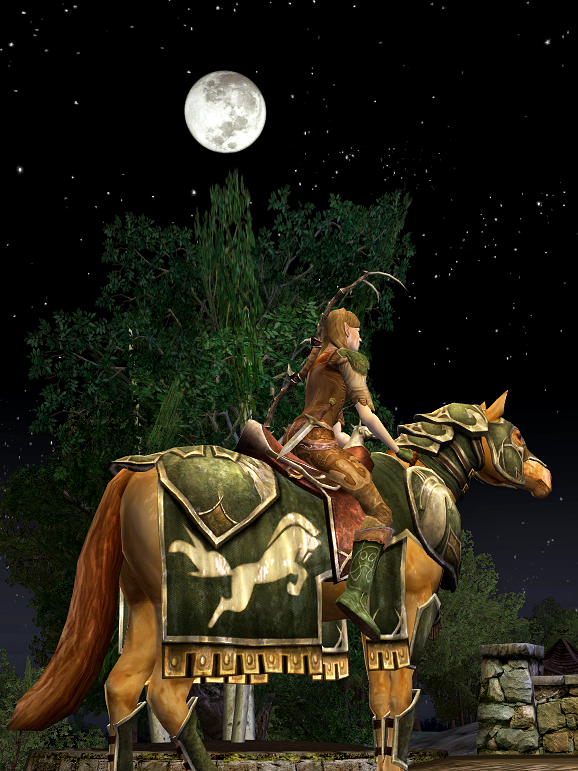 This entry was posted on 2014.03.20 by vyh in Outfits and tagged brown, calairiel, camo, camouflage, cosmetics, elendilmir, elf, green, hunter, lord of the rings online, lotro, olive, outfits, rust, umber.